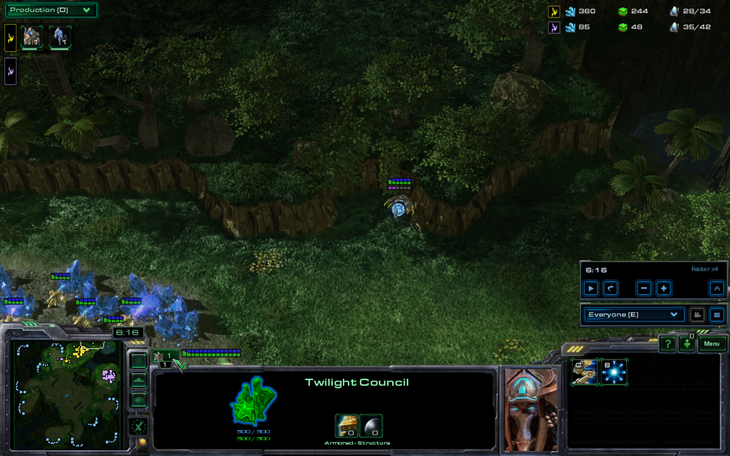 Many of you read the previous series of this installment, The_Templar vs GumBa. All of the games were extremely varied and quite lengthy, the shortest one being a mere 17 minutes while the longest one stretched all the way to the 47 minute mark. 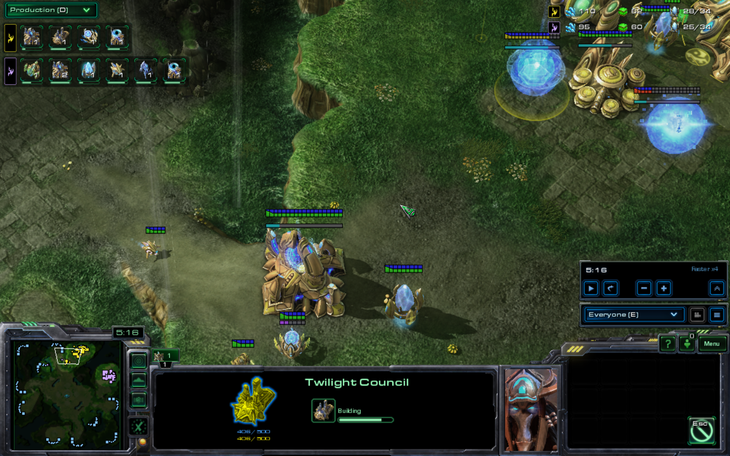 Most of the games featured The_Templar attempting a strange strategy while GumBa played relatively normally and passively. 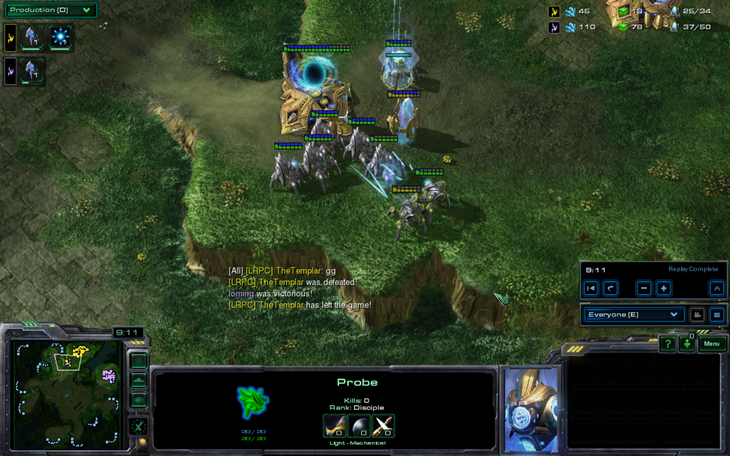 While The_Templar had the momentum in the second half of the series, starting with a successful BC play on Nimbus, he was unable to close it out, losing game 7 in a late game ZvP to archons and void rays. To him, Lorning was a completely different player. He had studied the fine, precise playstyle of the top korean professional players, as well as prime players. He knew where to aggressively attempt to take an edge in the early and mid games. 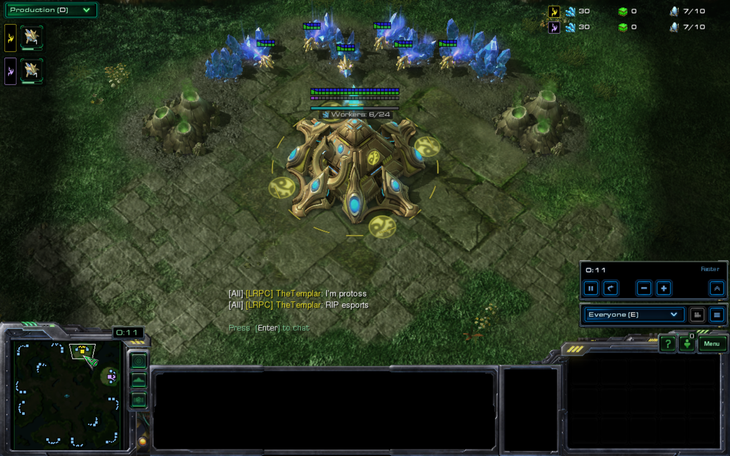 More importantly, he was a protoss player. Could The_Templar manage to adjust to this completely different playstyle or would he fall apart in quick and easy games? Oh, by the way, the first map was The Shattered Temple. The_Templar immediately expressed his disgust in having to play a mirror matchup, which he had not done in the previous series. 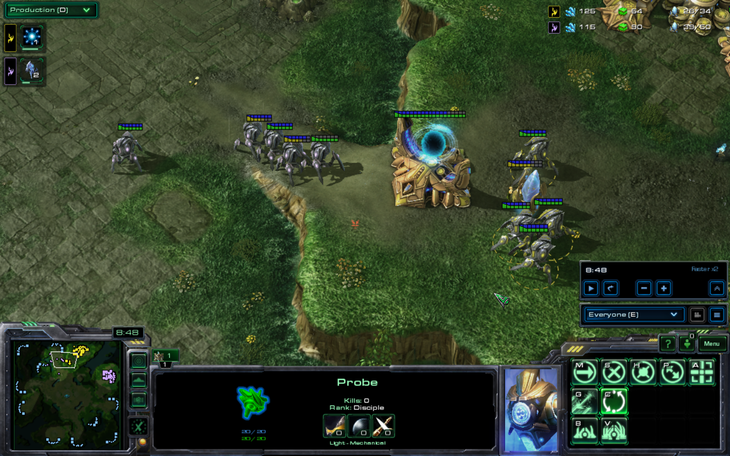 The_Templar pylon scouted and announced they were not in close positions. Lorning took that to mean that they had to be in cross positions so he scouted there first and got irritated when The_Templar was not there. Look at the cybernetics core timings. Lorning decided this was, in fact, 2011, and he busted out the good old 4 gate. 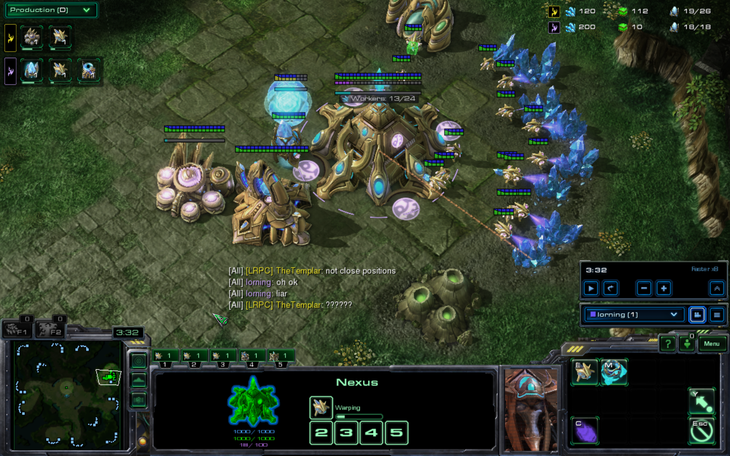 Wtf, chronoboost on nexus, you're doing it wrong. The_Templar was opening blink or something. He also got two sentries because he mined too much gas. 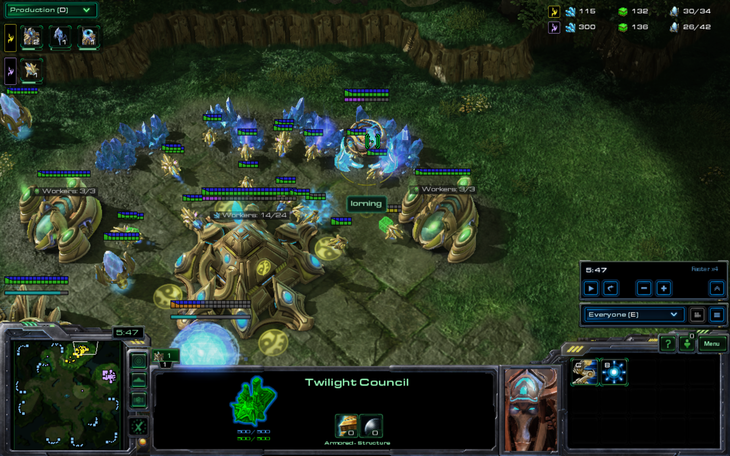 A mothership core makes it into The_Templar's base! Clearly mothership cores are the counter to blink. Build order win. 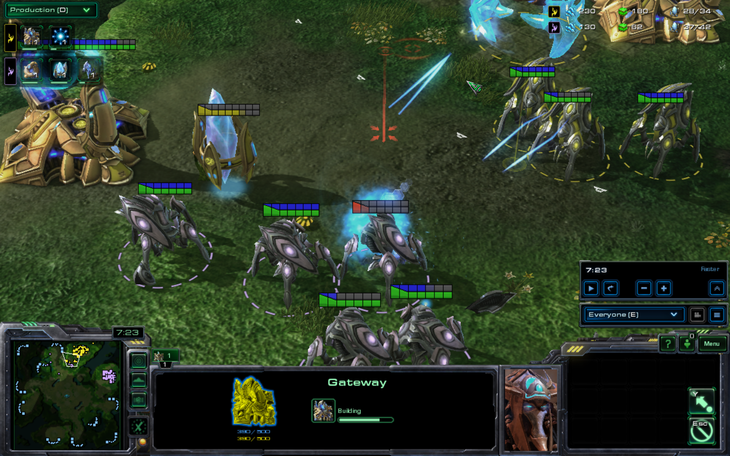 One of the sentries is permanently scarred by the sight of the mothership core and goes into hiding. "Come out, Mr. Senterie." "No… no… I've seen things far too horrible in this world. I can't go back." 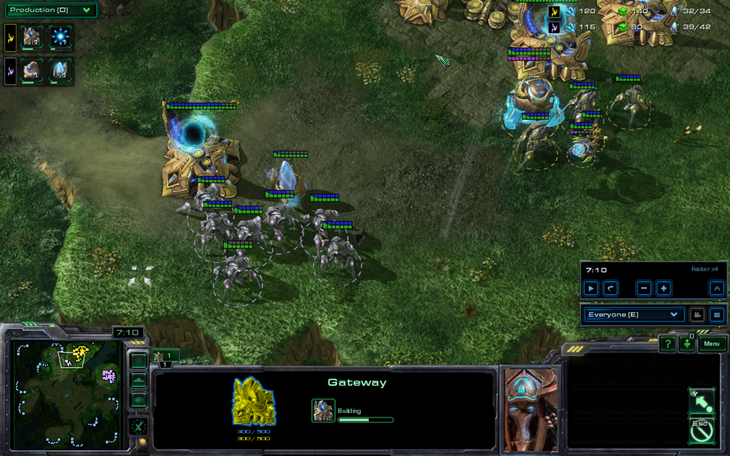 Meanwhile, 4 gateways turn out to be more than 2 gateways. 1 force field is more than 0 though. The_Templar warps in a stalker or something. Lorning retreats because stalkers are the counter to stalkers. After coordinating themselves, Lorning's stalkers go into The_Templar's main again to do a little dancing. The_Templar does not like dancing so he decides to commit murder. Lorning returns the favor and robots die on both sides. I guess that zealot died too. 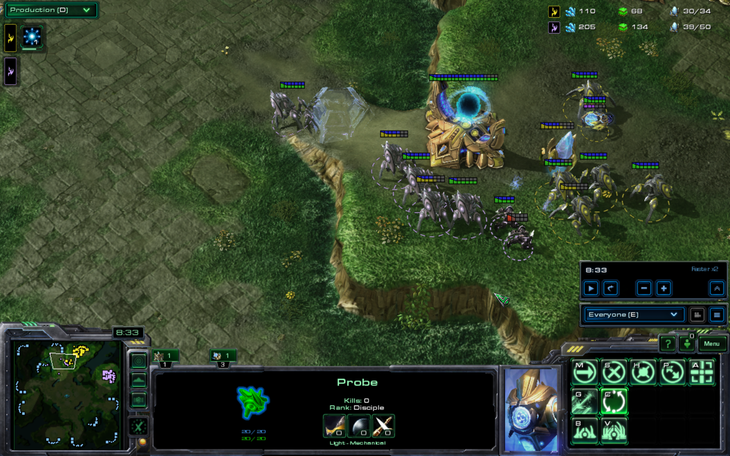 One of the stalkers was trying to emanate mysterious blue energy so The_Templar killed it. Meanwhile, 4 gate robotics facility for Lorning. Good build. Robots are hugging enemy robots and shooting them. Both sides lose robots. However, mini-robots are mining more money for Lorning's team and Lorning has the ability to make more robots as well as huge armored robots. 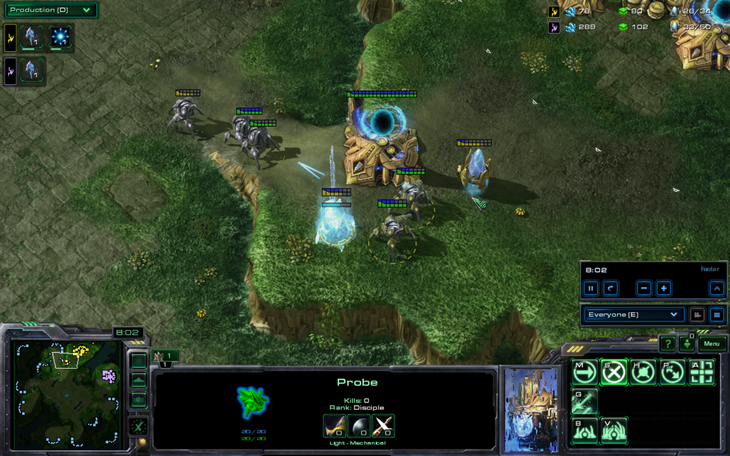 On the other hand, The_Templar's robots will soon be able to teleport which makes no sense. Where is that stalker warping FROM? Lorning attacks using robots and zealous warriors from Aiur and The_Templar does not put his force fields down in time, so they manage to get into the base. Hey look it's Mr. Senterie! The_Templar manages to hold somehow which doesn't actually make sense. 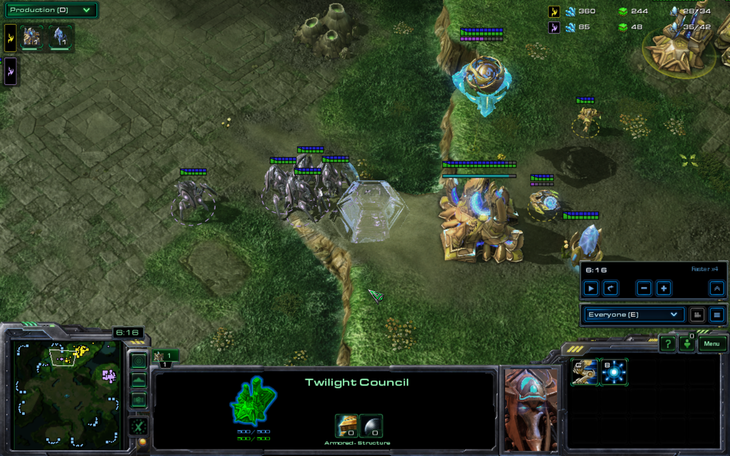 However, Lorning still has way more so he crushes the base of The_Templar on the next wave. The_Templar race-picks after this. I think we can all see why. Clearly both of these players have GM level macro. lorning won because of superior macro. you can tell because he built 1 more worker. fagt i want to do this vs you. u sux. and back in the day i started a few good old LR threads myself. As a diehard follower of this (and the last) series i will root for templar until he gets his bo7 win. were these streamed at all for your tournament thing or just going to be written up here? They were streamed. Currently being uploaded to youtube. Templar you need to start winning.